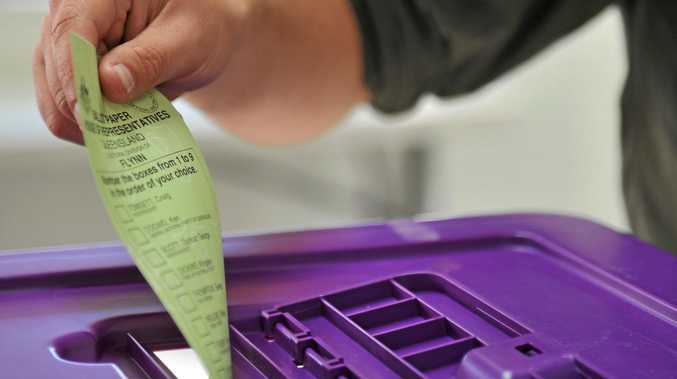 THEY breed them tough out in Leyburn, the tiny Queensland town of some 500 souls situated 200km southwest of Brisbane. After all, when faced with a wind chill factor of -4 degrees Celcius the good people of the Darling Downs region still rug up and come out in their thousands to watch the Historic Leyburn Sprints. It's an annual "round the houses” racing event, brimming with rare, interesting and often balistically quick racing cars tackling a hay bale-lined 1-kilometre course. It was my first visit to the sprint festival, now in its 22nd year, which celebrates the Australian Grand Prix heritage of the town. 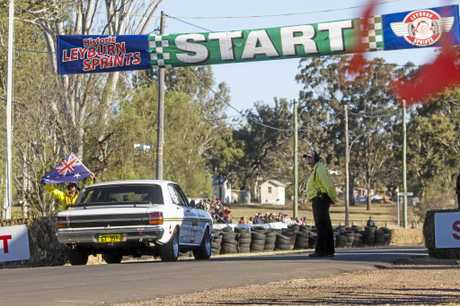 In 1949 Leyburn's World War II airbase hosted Queensland's first Australian Grand Prix, and the spirit is kept alive as the roar of classic machinery helps this sleepy town come alive for one winter weekend each year. Most relevant car tearing through the streets was a 1939 MG TB racer owned by Darling Downs local Colin Schiller. This silver single seater was one of 28 cars that started Leyburn's Grand Prix 68 years ago, so was quite rightly a guest of honour. This pre-war MG wasn't the oldest car hitting the track though. A brace of Austin 7s hailed from 1925, while a handful of other pre-war specials lined up alongside a long list of later single seaters. 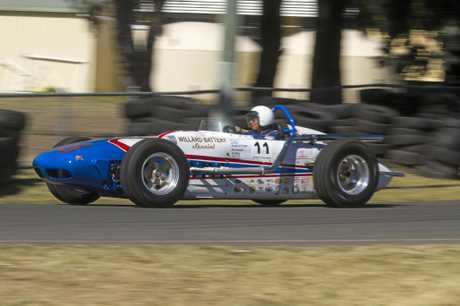 Noosa's Lloyd Robertson drove his 1959 Watson Indy Roadster - a stunning replica of the 1963 Indy 500 winning car - with typical speed and skill, while a Caloundra-restored 1958 Read Holden Special was capably steered by Paul Budden. A 1957 Jaguar D-Type replica had the fans reaching for the cameras, as did an oft-sideways 1976 Bowin Hay P6 single-seater with giant rear wing and gargantuan rear tyres so typical of the era. Minis, VW Beetles, Holden Monaros and Toranas, Ford Falcons, Escorts and Mustangs were in abundance, while lightweight little Mazdas, Toyotas and Datsuns from the 1970s also shone. Four-wheel-drive rally cars, V8 Supercars replicas, Porsche 911s and open-to-the-elements Clubmans showed there really was something for everyone. But the cold was brutal. 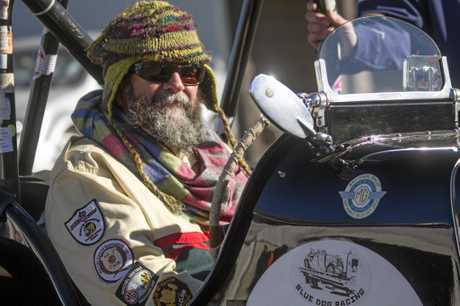 Saturday morning saw an evil wind go straight through competitors and fans no matter how many layers they wore; the sun-drenched seating of the iconic Royal Hotel pub in the centre of town proving a popular spot to try to warm frozen bodies. Prior to each run (each car was given seven over the weekend), we drivers lined our cars up in front of the imposingly beautiful pub. What a sight. Classic machinery in a row, sparkling in the winter sunshine and under perfect blue skies. Leyburn Sprints certainly lends itself to stunning photography. The track is very skinny but pleasingly smooth, and drivers have to negotiate five right-angled turns (heavy hay bale lined incidentally), a couple of man-made chicanes (cones and more hay bales), and a sweeping fast left-hander to finish. 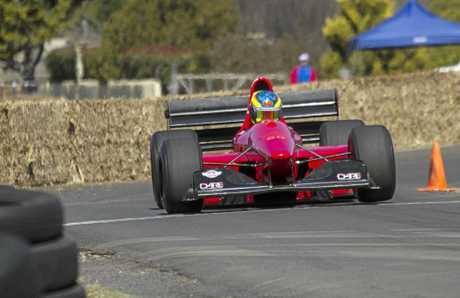 Many cars cross the finish line on three wheels, or more frighteningly, quite sideways. There's little margin for error; it's very easy to clip a solid hay bundle or run off the thin slither of road. A few drivers left their braking a bit late or turned in too early, or simply "lost it” to ensure there were a few battle scarred race cars on show. Bent panels, missing bumpers and caved-in fenders made for painful viewing. I was happy to break the 60-second mark for the 1-kilometre track in my 1989 Peugeot 205 GTi, but the rapid single-seat racers were going frighteningly faster. Leyburn's lap record was broken by Lismore-based racer Dean Amos in his 3.5-litre Gould GR55B monster, taking just over 40-seconds to complete the course for his fourth straight Leyburn title. Some 15,000 spectators braved the cold but lapped up a superb weekend of racing. 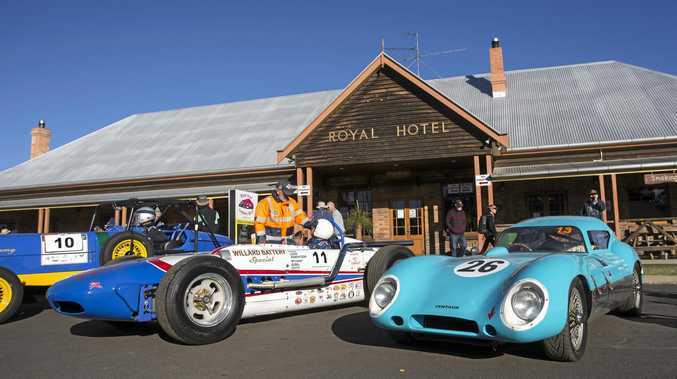 There are few places to rival such an eclectic field of 200 race cars, and in this rural Queensland delight of a town, the old world setting is tough to trump too.